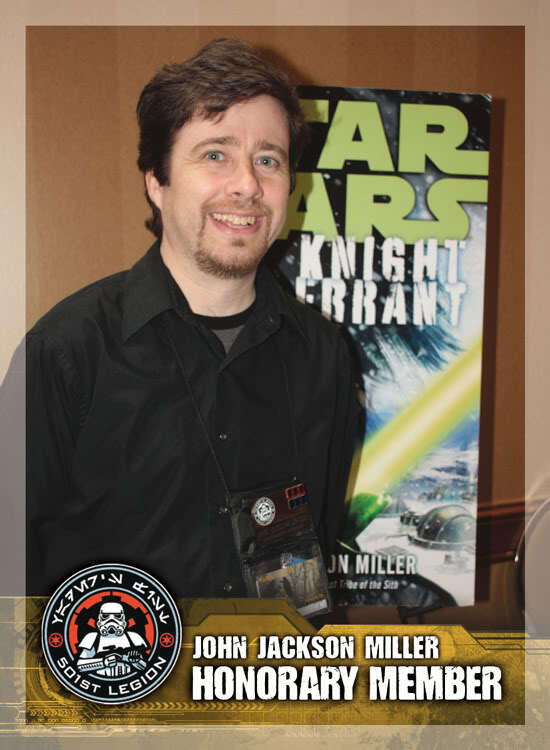 Faraway Press: The Online Home of John Jackson Miller: Book release event: Find the Lost Tribe of Sith on Saturday in Madison! Book release event: Find the Lost Tribe of Sith on Saturday in Madison! What's a Saturday without Sith? You won't have to find out, as the book release event for the new Star Wars: Lost Tribe of the Sith - The Collected Stories edition — as well as for the new Star Wars: Knight Errant comics series — is set for this weekend. I'll be appearing at the Barnes & Noble West Towne Mall location in Madison, Wisc., at 3 p.m. on Saturday. The store is at 7433 Mineral Point Road. And there will be costumers, as well, from the 501st and the Rebel Legion — my thanks to them, as always. Drop by and get a chance to get photos with them, as well as bookmarks and my own 501st card — seen at left — from me, along with a few clues about the new Lost Tribe of the Sith comics storyline. It's been a great couple of days here with the book releasing — lots of great feedback, and a nifty five-star review from Lightsaber Rattling to start things off. There's at least two podcasts slated in the weeks to come, and I will also be doing a Facebook chat about the book for the Del Rey Star Wars Books Facebook page on August 8th at 3 p.m. Eastern, which is also the day the new comics series releases. If you need a reminder of the time and date, just follow me on Twitter or Facebook.